At the risk of sounding like that character – Cecil, was it? – in A Room with a View who boasts about how long he spent looking at a painting in the Uffizi Gallery, today I finally gave a museum something like its due. 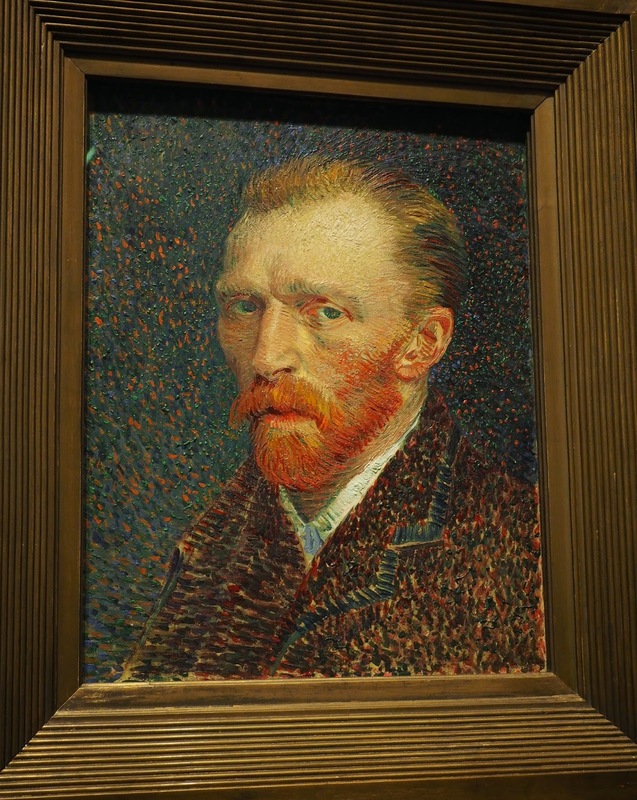 It was the Art Institute of Chicago, and I was in there for almost four hours, cruising the galleries: a real luxury compared with the guilt-inducing flitting that’s been a feature of this trip. They’re very proud of having been voted by TripAdvisor (than which there is no higher arbiter) the Number 1 museum in the country, and they certainly have some good stuff in there. Though I enjoyed the American art, it was the Impressionists who seemed to be making the greatest, er, impression, with people actually queuing up to photograph some of the better-known works with their cell-phones – Van Gogh’s self-portrait was particularly popular, as was the painting (one of them) of his room in the yellow house in Arles. There was a whole series of Monet’s haystacks, lots of Manets, lovely Renoirs, Pissaro, Sisley… oh, they’re all there, the big names as well as (to me) lesser-known artists. 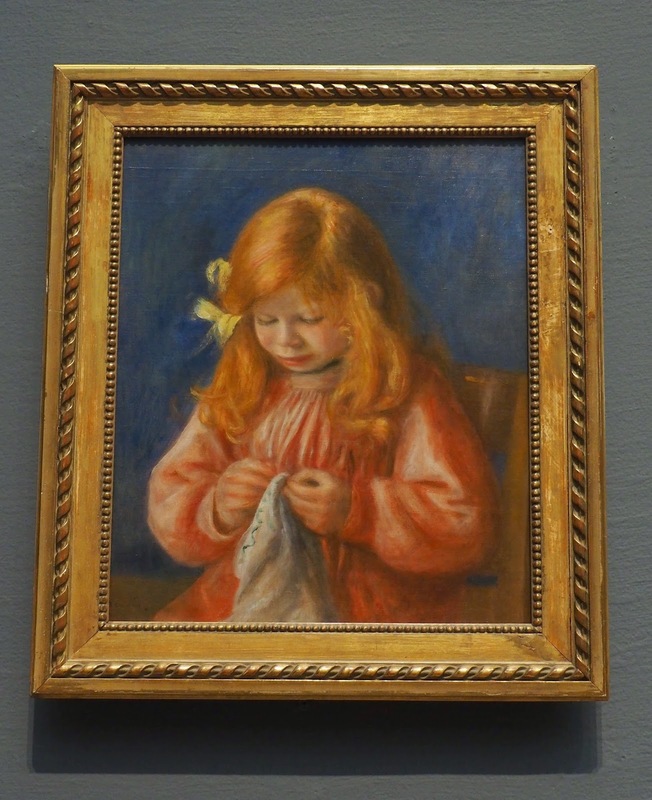 There was a portrait of little Jean Renoir by his father who, to the boy’s embarrassment, wouldn’t let his gorgeous flowing ginger hair be cut until his school insisted on it at age 7. Mind you, Jean didn’t do himself any favours allowing his father to paint him sewing. The only thing I didn’t like was that the woman who initiated this wonderful series and oversaw all the craftsmen who built the rooms she filled with her collected miniatures, was referred to throughout only as Mrs James Ward Thorne. I had to look really hard to find her own name, which was Narcissa. So that was today’s main effort: worth a visit, definitely. It’s in the CityPass booklet. I enjoyed it – except not the Modern Gallery, the best feature of which is the open space and brightness; the worst being the video installation entitled ‘Clown Torture’ which consists of a clown writhing on the floor, groaning. Pft. And the day ended with a fancy high tea in the Peninsula’s grand and elegant lobby, and a foamy bath back in the room watching the TV on the wall above the taps while I washed my smalls. Classy!